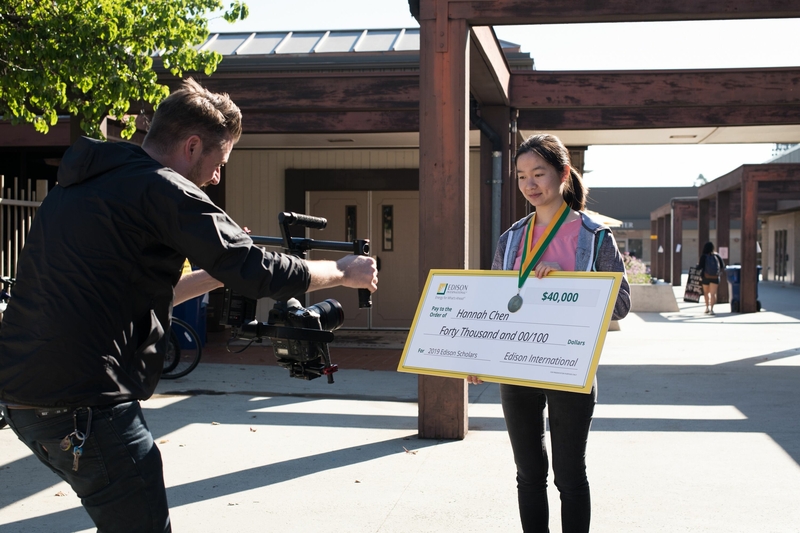 Hannah Chen's AP psychology class got a surprise when Edison Senior Vice President Caroline Choi (right) announced Hannah (left) won a $40,000 Edison Scholars scholarship. 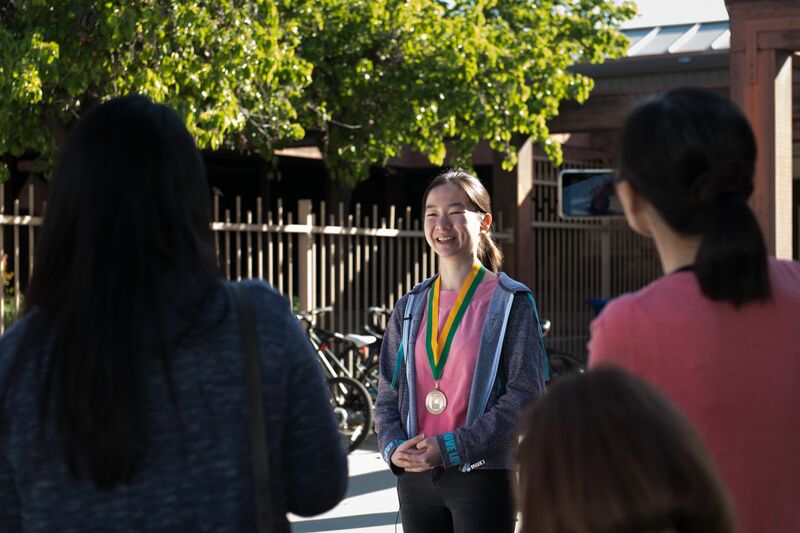 Hannah Chen hopes her college studies will help her develop a program to prevent wildfires. 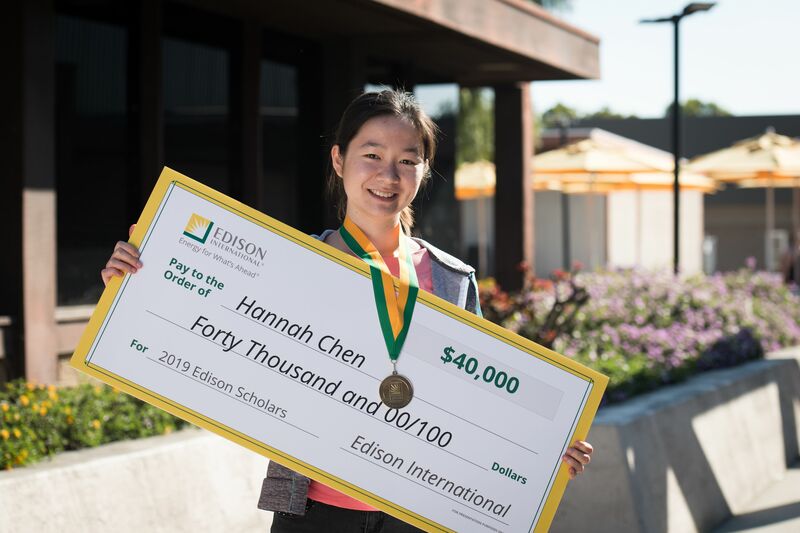 Edison Scholars scholarship winner Hannah Chen wants to study computer science at Cal Tech. 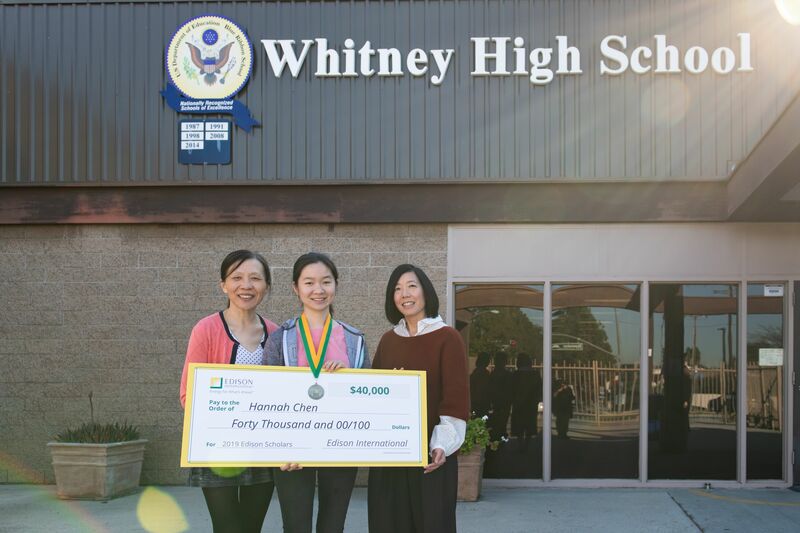 Whitney High School senior Hannah Chen (center) displays her $40,000 Edison Scholars check with her mother, Jianquing (left), and Caroline Choi, senior vice president of Edison International and SCE . 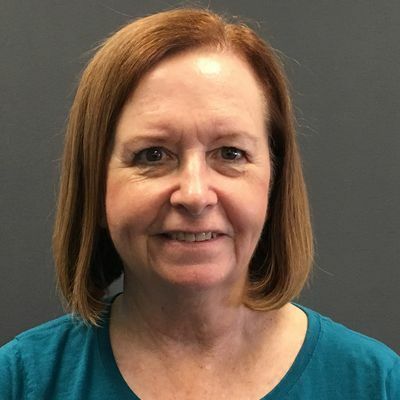 Hannah is one of 30 high school seniors selected from among 722 applicants to be awarded an Edison Scholars scholarship this year. 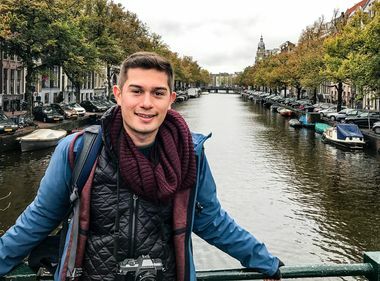 To qualify, the recipients must live in SCE’s service area, have at least a cumulative 3.0 GPA, show financial need and plan to pursue studies in the fields of science, technology, engineering or math (STEM) at a four-year accredited college or university. 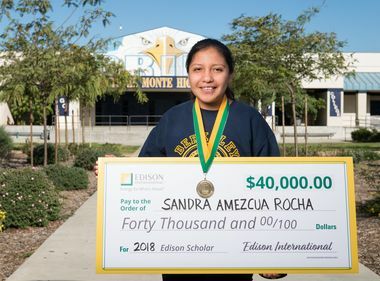 Since 2006, Edison International has awarded more than $9.9 million in scholarships to 640 students including the 2019 Edison Scholars. Hannah Chen poses with the Edison Scholars gold medallion she received with her $40,000 college scholarship. 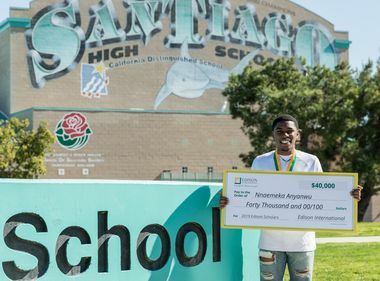 Hannah said the scholarship will go far in helping with her tuition at California Institute of Technology, where she plans to major in computer science.